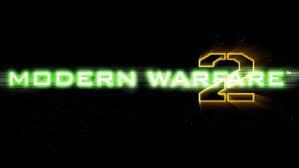 Did you get Modern Warfare 2 Resurgence Map Pack only to find out that you’re getting game errors? Rough! Want to fix those game errors so you can finally have fun playing the game rather than fixing it? Luckily, it’s easy. The game fix for all of these is actually the same set of steps. So if your game is crashing or you just get the MP_ error when attempting to play the game, this will help you. 4A. Load Steam. It should automatically start downloading the game files. If it doesn’t, turn “keep this game up-to-date” from on to off, and then back on. This will usually start the game download process. Done! Whether you experienced game crashes / crashing, disconnections, or the MP_ map errors, they should be fixed now. Otherwise you may have to reinstall Steam and the entire Modern Warfare 2 game with the Resurgence Map. If you are having strange problems with the graphics, then it may relate to your drivers. Keep your drivers as up to date as possible. If you have NVIDIA or ATI, get their latest available drivers. This entry was posted	on Wednesday, October 13th, 2010 at 6:16 AM	and is filed under . You can follow any responses to this entry through the RSS 2.0 feed. You can leave a response, or trackback from your own site.